I had not previously been to a theatre to view a play before this evening. I was not excited about the prospect of a two hour long musical. Admittedly though, after the first ten minutes of the production I was hooked. I rather enjoyed the characters and their roles within the story. I think this play should receive more than the cultist following that it has. My favorite character was the town’s unscrupulous mayor, the Marquis. I had an easy enough time following the storyline and the characters progression. I was keen on the techniques we had read about and seen on television in our chapter on the Greek tragedies/comedies and how the methods closely related to the story. Alhough I am not entirely sure that this story is a direct reflection of the classical definition of the word Tragedy it does loosely follow some of the same principles: The main character and protagonist Aimable Castagnet is a character that doesn’t get presented with any negative connotation. He is a commendable man whom leads a virtuous life as a simple baker. He deeply loves a woman that is much younger than him and does his best to supply every moment of her day with his love for her. The Hamartia of his character is that because he is so nice he may seem boorish and naïve to both the townspeople and his young bride. He is politely mocked by the townspeople about their age difference and eventually through his bread making wisdom the antihero (Dominique) enters the stage by way of the Marquis. He is the polar opposite of the main character and sets his sights on the baker’s young wife. This ultimately leads to his downfall which is the part when Dominique who was secretly courting his wife both leave in the night and Aimable inadvertently burns his shop. This represents the Cathartic change Aimable undergoes as he is struck down from his own existence and falls into despair. He does not work or maintain his proper social etiquette by drinking heavily and losing his bearing with the town. But this is also where the story does not follow the tragic definition any longer. In this story the townspeople whom had taken great issues with one another were faced with the responsibility to put their prejudices aside and aid their baker in winning back his wife. In the end all was resolved and everyone was happy. 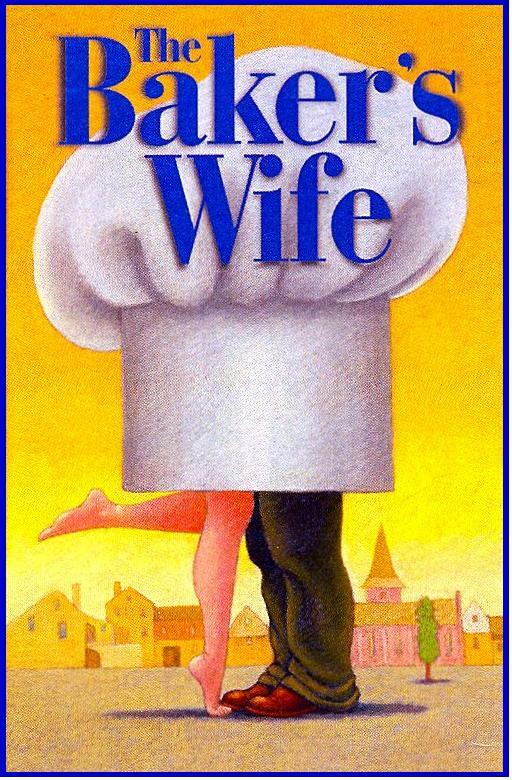 For more information you can consult this link ( http://www.wikipedia.org/wiki/The_Baker’s_Wife ) to read the synopsis and a general overview of this stageplay/musical. Mosques are a sacred pillar in Islamic life and are living centers for civic and religious ceremony. They serve as schools for children and adults alike; they also host community, social and political functions. They can be thought of as a place of worship, wisdom, and fellowship. 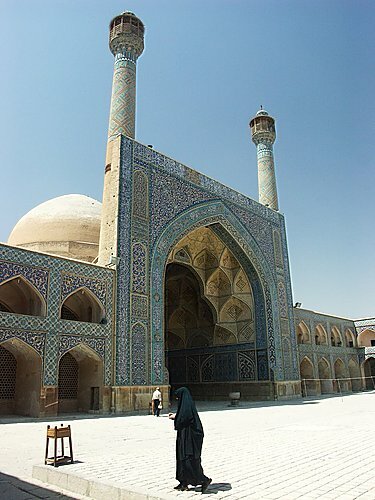 The Masjid-I Jami or congregation mosque in Isfahan Iran is one such mosque worthy of note. It was created in the 10th century and has steadily evolved from its start to fit and suit the needs of its population. This is not to say that the work completed on this edifice has merely been structural. There have been many great additions to the visual appeal of the mosque during its time to further deify and celebrate Allah and his role in the Muslim way of life. This mosque is a visual celebration of Islamic culture and this author will attempt to define some key areas that make this important fixture a work of living art. The FORM of the example is expansive. This mosque is a largely executed attempt to accommodate the male population of its community. It is a simple building which is then elaborately decorated by its caretakers or expanded to fulfill the needs of the community. The LINES are straight and precise for the general framework of the building. They are perpendicular and parallel in such deliberate quantities that a feeling of structure, safety, and ultimately righteousness can be found in its visage. This strict and functional canvas of structure compliments the COMPOSITION that the artisans have created in the way they have used a multitude of muslim muqarnas (a type of stacked niche) set along great vaulted arches. These features have within them even more niches that all of which tell a story or relay a quoted scripture from the Qur’an. On this particular “canvas”, the MATERIALS and TECHNIQUE used to decorate and define this mosque are simply staggering. The façade is completed in a cobalt blue mosaic background with high levels of detail executed in contrast to the base color. There are borders of the mosaic tile around the arches and niches that serve to define the structure as well as design “themes” that differ based on where they are located (i.e. 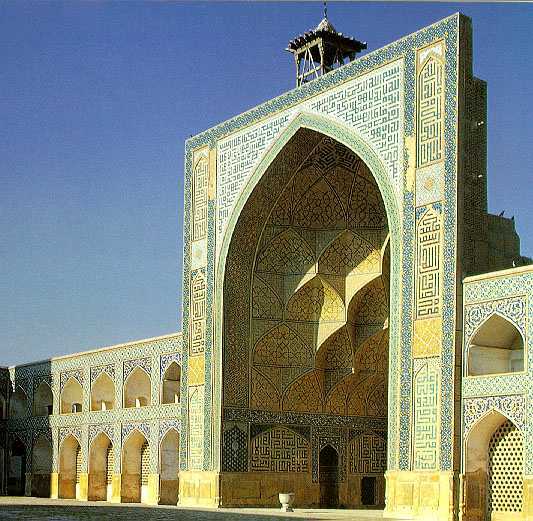 flat walls have a “basic” carryover design which then changes when the pattern reaches a minaret or dome, it then becomes more geometric in its appearance). The amount of visual data presented is truly overwhelming to the human eye. The painstaking amount of tedium that was needed to set these individually carved and cut pieces of tile and then place them in such a precise order so that they could resemble a required shape or even the Kufic Language is a masterstroke to the artists that created this monument. The use of COLOR choice on this work is both striking and befitting of its purpose. The locale around this building (geographically speaking) is muted and generally restricted to earth tones. In defiance, this building stands in high relief to its environment being mainly composed of a deep blue mosaic covering. The Contrast in colors is a beacon to all who are within sight of it and serves as a constant reminder to its faithful following. The area this community place occupies for its intended purpose is forever changing throughout its lifespan. The entire structure is devoted to ease the fundamentals of its religion and to allow for all way of procession to occur within it. Theses borders can then be expanded according to the needs of its following. This is an example of how SPACE was used when conceiving this artwork. This has been a small summary of the basic components needed to objectively rate an artwork for what it and what it was meant to be. My rantings on this lovely mosque are by no means the only interpretations that can be concluded and are far from the results that an in-depth and scholarly study of the structure would derive. This writing was presented from a more generalist and amateur enthusiasts viewpoint.